Afterschool time programs re-imagine how, where and when our young people learn. Youth spend only 20% of their waking hours in school. How they invest the other 80% of their time is a game-changer. Studies show affluent youth experience 6,000 more hours of enrichment and learning compared to their low-income peers by the 8th grade. High quality afterschool learning hours can turn this inequity around. Keeping Kids Safe: In Indiana 20% of children, including kindergarteners, are unsupervised in the afternoons. Out of school time programs keep young people safe during the highest crime time hours of 3 -6PM weekdays. 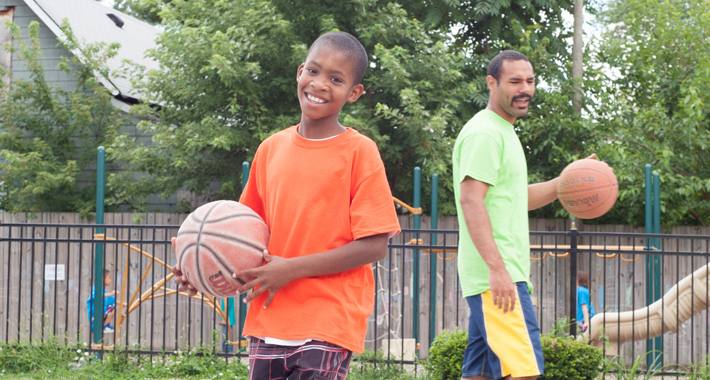 Those in afterschool programs are less likely to use drugs, become teen parents, or be victims or perpetrators of crime. Inspires Learning: Afterschool and summer programs can add 1080 hours of learning to the year. That adds up to 144 additional school days. Those in out-of-school time programs have better grades, attendance, behaviors and college/career attainment. Support For Working Families: Parents are better workers when their children are engaged in quality programs. Working parents miss an average of eight days a year due to a lack of afterschool care for their children. Out of School Time programs take place in all types of venues. Programs can occur before school, after school, on holidays, weekends and during the summer. OST programs offer learning and enrichment activities from academic pursuits to physical and social development.